The experimenting bug has hit me so, with some hand-holding and knowledge from members of the Rose Hip Knits podcast Ravelry group, I’ve hand dyed yarn for the first time. 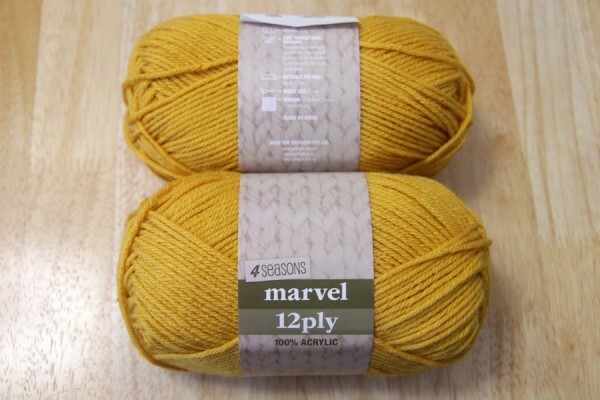 While the sales are on I decided to pick up a few balls of 4 Seasons Marvel 12 ply yarn to give it a whirl. 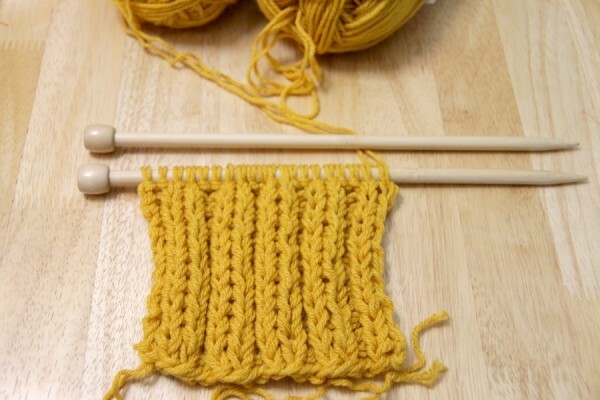 The colour range in the shop I visited was limited in comparison to the other weights of Marvel yarn but I chose this mustard yellow colour to make an acrylic scarf. 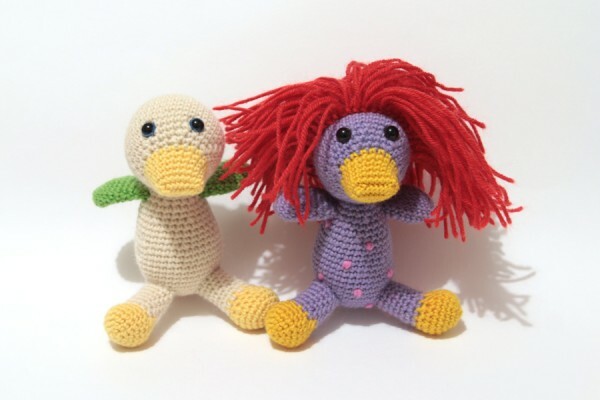 I normally use wool and natural fibres for winter scarves but I want to experiment with yarns that can be used by people who have allergies or reactions to wool. The weight of the 12 ply doesn’t feel as thick as a wool 12 ply, and I want to make a chunky scarf, so I’m knitting this scarf in a basic rib pattern with two yarns at a time and 9mm straight needles. Here are a couple more experiments with Moda Vera Elenna yarn. I designed a crochet clutch purse. 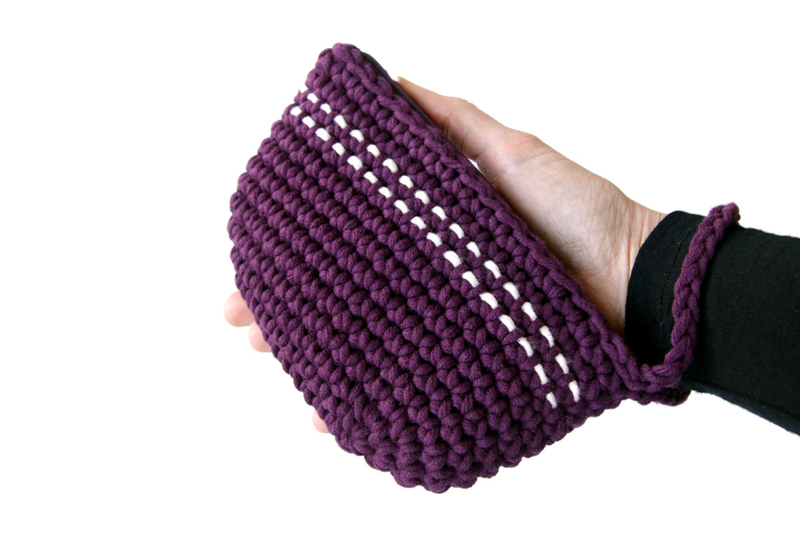 It’s lined, has a zip, a strap, and two lines of decorative stitch on the front. 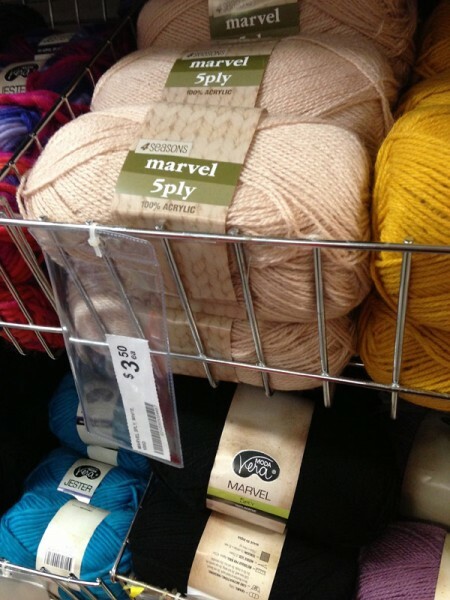 I noticed that Spotlight had a lot of new yarns in with the name “4 Seasons”. I’d never heard of it before but as I poked around the aisles I got the sense that it’s a rebranding of Spotlight staple “Moda Vera”. I haven’t had this confirmed but there are similarities in yarn line names and colours, and the 4 Seasons labels say “Made for Spotlight Pty. Ltd”. A quick photo I took in store to show the two Marvel lines by 4 Seasons and Moda Vera which convinced me that it’s a rebranding.